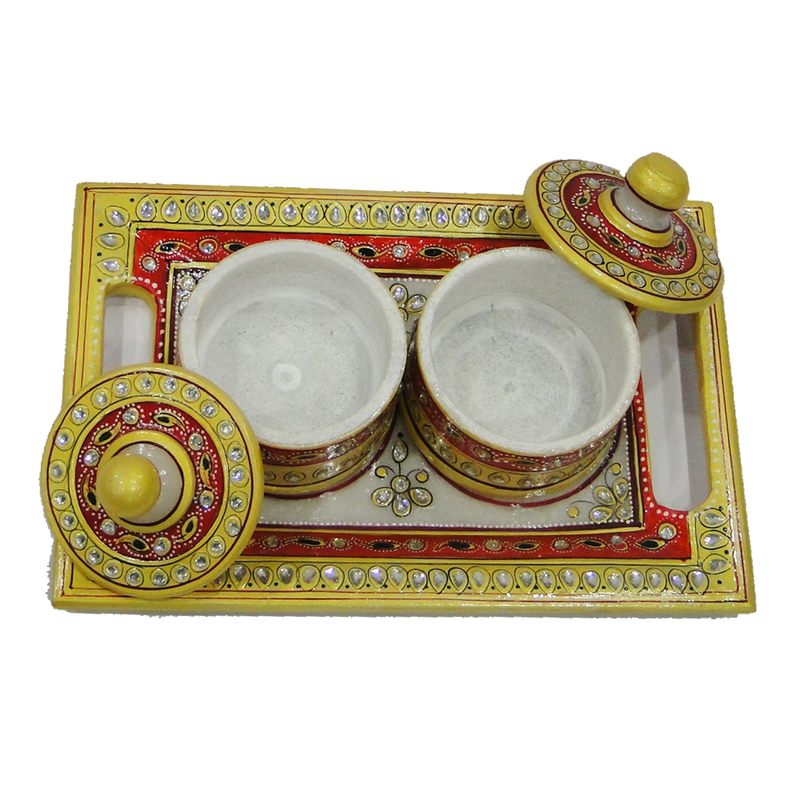 This diwali gift your loved ones and friends this attractively decorated marble tray with 2 dibbi and handle and get appreciated. This elegantly decorated marble tray with 2 dibbi and handle is made comprehensively with marble and enhanced with fine decorative work. Gift your near and Read More..dear ones this elegant decorative piece this Diwali and etch a place in their hearts. The gift resonates with the festive mood of people and serves as a memento of your love, affection and respect towards them. It also speaks a lot about your choice. Show Less..